Grosvenor Link Apartments is a boutique complex of eight high quality, contemporary apartments. there are two levels and alongside this secure basement parking. adjacent to UTAS - ranked in the top 2% of universities in the world. Selling off the plan now. one of Hobart’s most desirable inner suburbs. 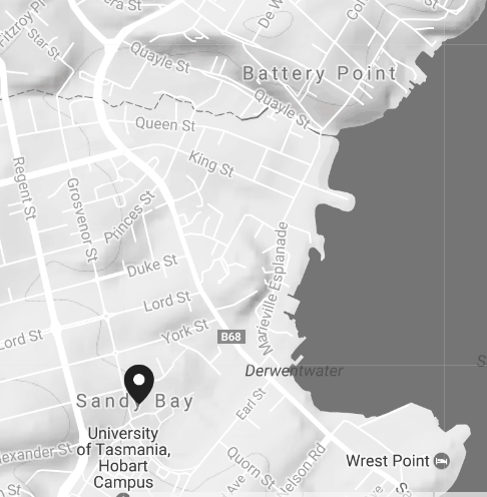 Sandy Bay, is on the edge of Hobart City and is home to: UTAS Sandy Bay campus, beaches, first class shopping facilities, spacious public reserves, leading private schools and walking trails. Grosvenor Link Apartments, in addition to being adjacent to UTAS, is surrounded by much sought-after high-quality character homes. Relatively low estimated Body Corporate Fees, reflecting a lack of expensive common area such as swimming pool, etc. ranked in the top 2% of universities in the world (Academic Ranking of World Universities 2016). A sandstone university, one of the oldest in Australia, it is home to approximately 35,000 students. Engineering and Technology, Business and Economics, etc. Hobart is the capital city of Tasmania, Australia's only island state. DISCLAIMER - All information, images and illustrations are indicative or artist’s impression only and are subject to change. Furniture and whitegoods are not included in the advertised price. Any areas shown are estimates only, based on information presently available, and may vary. Grosvenor Holdings Pty Ltd and its related companies and their employees and agents do not warrant the accuracy or completeness of the information, images or illustrations and do not accept any liability for any errors or discrepancies. Interested parties must not rely on this material but are advised to make their own assessment and independently verify the information.